I am thrilled to announce that Las Vegas real estate agent and property manager Atsuko Winston has joined the Shelter Realty team. We are really excited to welcome Atsuko to the Shelter Realty family. Fluent in Japanese and English, she brings invaluable expertise to our clients. For eight years she has specialized in working with Japanese real estate investors (and others) looking to buy Las Vegas real estate. Atsuko will also provide Shelter Realty’s professional property management services to our Japanese clients looking to invest in Las Vegas real estate. Atsuko offers a truly complete real estate investment package for Japanese real estate investors. 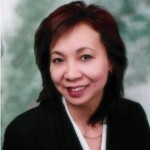 To set up an appointment with Atsuko please call (702) 376-7379 or email her directly at atsuko @ shelterrealty.com. To browse our listings of Las Vegas homes for sale visit www.ShelterRealty.com.